Please select options for Royal Purple Synchromax Manual Transmission Fluid at the top of this page. Protection. Royal Purple Synchromax® is a full synthetic transmission fluid that provides superior wear protection for your Mustang's drivetrain. Synchromax® is formulated with Royal Purple's synthetic, proprietary Synerlec® additive technology, which offers improved shift quality over a wide temperature range and reduced gear noise. Use Royal Purple Synchromax on your Mustang's next fluid change for the cheapest insurance you can get against future transmission breakdowns. Better Shifts. If your transmission is notchy, rough, or loud but is mechanically fine, a fresh fill of Synchromax® can help smooth things back out. 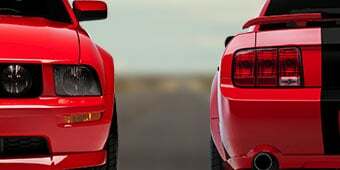 If you have a new Mustang or transmission, changing your fluid to Synchromax can keep your transmission working better - both now and later. Protects Internal Components. 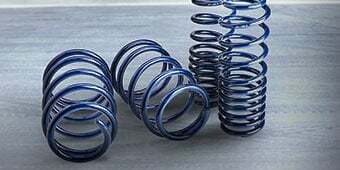 Synchromax® is fully compatible with all types of friction materials and offers excellent corrosion and oxidation protection without affecting the soft metals commonly found in manual transmission synchronizers. Application. Synchromax® is recommended for manual transmissions that specify an automatic transmission fluid or motor oil. Please note the T-45/T-3650 will take approximately 3.25 quarts to fill the transmission after a full transmission fluid flush. 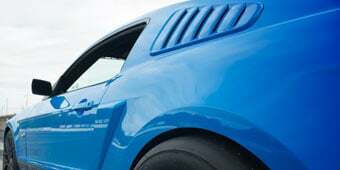 The 2014 Mustang GT 5.0L will take 2.7 quarts of transmission fluid. how many quarts of transmission fluid do i need for my 1998 t-5 transmission? you need 3 quarts. you can refer to your owners manual. If memory serves correct, it's 2.7 quarts. I recommend buying a Haynes manual for your car - it will have the capacities in it. 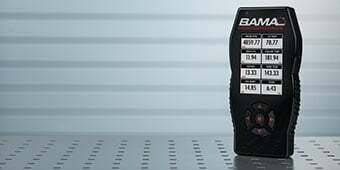 Hello...car nooby here...so I NEED a manual transmission oil change in my 2006 S197 GT, but I need to know how much of this do I need for a full top off after I drain it and how to fill it...can I fill it from the shifter and unscrew the knob and poor it in? or Do I have to fill it from the fill hole? 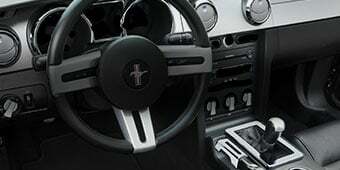 The 2006 Mustang GT equipped with a manual transmission will require 3.25 quarts of transmission fluid. After you drain your transmission, you will need to refill it from the fill hole located on the transmission. Would it be okay to mix this product with Slick 50 manual transmission formula? 1 bottle = 10 oz dose. We do not recommend mixing additives with the Royal Purple Synchromax Manual Transmission Fluid. How many quarts for the t 45 in my 99 cobra? The T-45/T-3650 transmission will take approximately 3.25 quarts to fill the transmission after a full transmission fluid flush. Yes this is safe to use. My local Ford dealer assured me it is great for performance enthusiasts. Yes it works great in my MT-82 smoother shifting means less friction which means less heat and possibly means a 1 or 2 freed up horse power over Motorcraft. 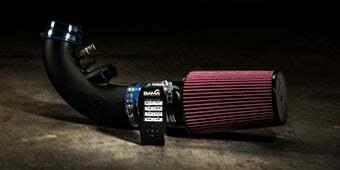 All I have left to do is the Diff 75w140 and my Stang will be purpled from front to back. Yes this works great in that transmission. Many dealers will recomend it. This fluid will quiet down transmission noise to a degree. It really all depends on what's causing the noise. As long as it's not like a bad synchro or something to that effect it should help. It is possible that it can fix the noise, but it is hard to say. It sounds like your 5th gear syncronizer is worn out. This is a great lubricant and can get rid of a lot of chatter in a transmission so it is worth a try. It may save you money. It is cheaper to change fluid than to have to buy a syncronizer and pay someone to replace it. I had gear noise in every gear in my 2003 Cobra. After switching to Royal Purple all noise was gone, and greatly improved shifting. The answer is most likely...yes. It should fix it. Royal purple is highly recommended. By a lot of people and or companies. IF it does not help. Then I would take your car in and have that noise checked out. No I don't quite think it will but it will make it smoother to the feel. Great choice of oil by the way! You'll need 3.25 quarts for the 5.0L Manual. After a full transmission fluid flush, it is recommended to fill back up with approximately 3.25 quarts. Three bottles will be required to fill your transmission. Your T45 would need 3.3 quarts. The MT82 Transmission requires 2.7 Quarts of fluid so you will need a total of three bottles of this Royal Purple Synchromax Manual Transmission Fluid. It is time to change ( 50000 ) because of the mileage and I had used it in a 1989 5.0 I had and it made the shifting smooth, so I am going to use it in my 2012 GT. AM has good products so going to put it in and will update after a few miles has been run. Used it for a 60K service on my '11 GT, worked really well. Shifting is smoother into first and down into second. 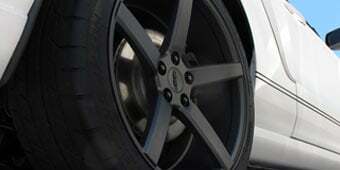 Have used the RP Synchromax fluid on both my mustangs T45 and T56 trans. I honestly did not notice any difference in shift feel with my T45. It has always been very smooth even with 96xxx miles on it. The T56 on my Cobra with RXT twin disc has always been notchy it has 36xxx miles on it, and the RP did not correct the notchy feeling, i was hoping to get rid off. The fluid seems to work as advertised but its no miracle liquid. Purchased the Royal Purple Synchromax fluid for my 2015 Mustang. I was VERY tired of the clunky nature of my MT82, and have been looking at different shift kits to try and smooth it out. Ran across the reviews on this fluid, and even though I was VERY skeptical, I thought, for $50 it's worth a try. Holy cow, I cannot even believe the difference it makes! It's like someone poured all new liquid guts into my MT82! Totally smooth and different feel! Thanks American Muscle and Royal Purple! So even if you just changed out your fluid, HURRY UP and get your Royal Purple Synchromax from American Muscle today! On a side note, I found lot's of conflicting information as to if I needed to use Ford's transmission friction modifier with this fluid, even 2 Ford dealers didn't know. I ended up contacting Royal Purple's technical department, and the answer from them is NO, Ford's friction modifier is NOT needed for the 2015, S550! 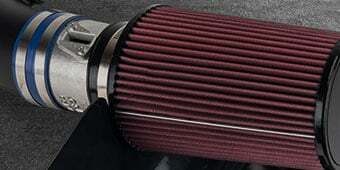 I use this in my Roush 2007 and it has made a big difference in shift s and rides smoothly. Not too much difference. More of a peace of mind knowing my ride has royal purple in it. Works as expected. Made shifting they the gears slightly smoother for the price. This product really works and the results are instant. It’s 36 degrees here in nc. It works just as advertised. I have a 2012 Mustang GT, 6-speed manual. On cold mornings, the 1st to 2nd shift was a little rough until the car warmed up. I changed the trans fluid using Royal Purple Synchromax. That cured the problem. 1st to 2nd shift is now smooth all the time. Swapped this out on my MT82, still feeling a bit notchy when cold but that's sort of expected with this transmission despite a new shifter, trans mount bushing and blowfish bracket. Once warmed up, this helps make shifts feel like butter. I'd recommend on any MT82. This stuff works i'm telling you. It made my shifts significantly better. I had an insanely hard time finding Trans Fluid that would work for my T-5. I know that way back when, it just called for Standard Mercon ATF but I soon found out they discontinued it and kept finding a bunch of different grades. The Royal Purple Synchromax was, not to be cheesy, the light at the end of the tunnel. It works perfectly and couldn’t be happier! Very easy to service on 2014 5.0. Just make sure your in neutral and the car is somewhat level (if using jacks) on both sides so it is is serviced to the proper level. Works like a charm, she just glides into gear now! I did a transmission swap on my 04 Mustang V6 and used this oil. Man it feels like brand new. Smoother shifts and less noise. I would recommended using this oil to anyone. First time purchasing for transmission and actually shifted smoother. 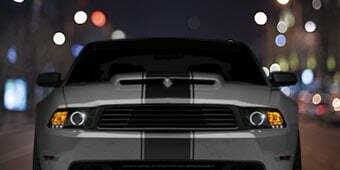 I have used Royal Purple Synchromax Manual Transmission Fluid for every fluid change and I have had zero problems.. My mustang has 230,000 miles and going strong.